It is quality of attention that makes things sacred. 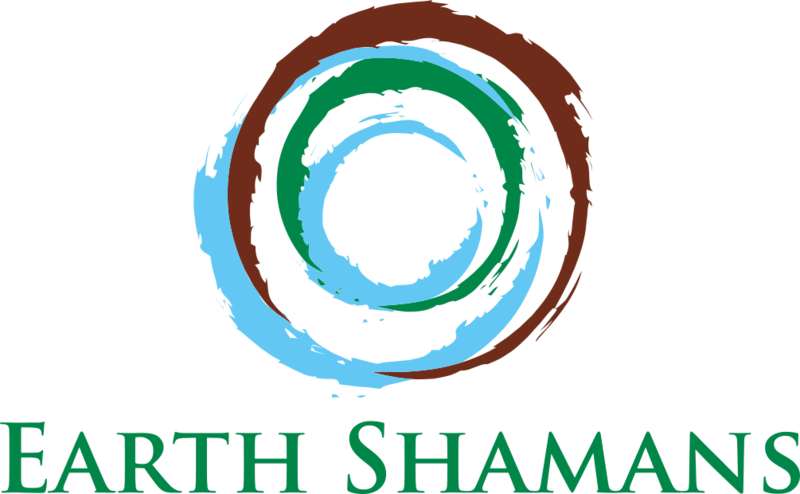 Earth Shamans is a gathering of like-minded beings who have responded to the call of Spirit. The foundation of our work is drawn from the words of Allen Ginsberg: “it is the quality of attention that makes things sacred.” This “quality of attention” sets the context for our work and our engagements around the world. We understand, practice and teach the art of working with earth energies. We believe it is time for a global movement in which the quality of attention brings forth a shift in perception. We believe it is time for all people to learn to navigate other ways of knowing. A shaman acts as an intermediary between the manifest and un-manifest worlds. At Earth Shamans, we understand that all human beings were designed for this role and have the power to shape the world in alignment with Spirit. Each of us holds responsibility for consciously bringing spirit and matter together within us. Our job is to aid in the restoration of wholeness, beginning with ourselves. There is more to our world than meets the eye. Within nature lies the template for creation. A universal pattern defines the manifest world, linking it to un-manifest potential. It is time for a shift in perception that teaches us to navigate other ways of knowing. We all must become Earth Shamans. Laura Esculcas, co-founder of Earth Shamans, is a leadership and spiritual development coach, Veriditas Advanced Certified Labyrinth Facilitator, SoulCollage® facilitator and sacred landscape guide in Portugal. A self-proclaimed “life adventurer”, Laura believes in bringing a sense of the sacred to everyday living. Originally from the US and having worked in Silicon Valley for over ten years in high tech operations and management, Laura now lives near Lisbon, Portugal. She holds both an M.A. in Wisdom Studies and a B.A. in Chemical Engineering, and is the Labyrinth Practitioner at the Penha Longa Spa and a Signature Retreat Collaborator at The Sanctuary Portugal. Informed by her research and immersion in the Portugal ecofield over eleven years of residence in Portugal, Laura also takes groups on pilgrimage in Portugal, into the imaginal realm of mythology and metaphor where a cast of Portuguese characters comes alive. Link to Laura's website. Calen Rayne, co-founder of Earth Shamans, is a Unitarian Universalist Lay Community Minister and Spiritual Director in Bar Mills, Maine. A buddhist for over 50 years, Calen has trained with alchemists of the first religion of the Himalayas (nameless religion), known as “patterns of heaven and earth” or “sacred conventions.” Rev. Dr. Rayne is a Veriditas Advanced Certified Labyrinth Facilitator, builds labyrinths, designs and consults on sacred landscape and Shinrin-yoku installations. He produces energy mandalas and altars for healing. Scientific discovery is still catching up to ancient wisdom, and Calen Rayne is standing at the crossroads of the two. Calen works with this internal mapping system in a method he learned in the Himalayas, called “genesis point vibrational radiesthesia”, which enables us to identify a particular point at a sacred site where we can connect with the energetics of the land. Link to Calen's website. Catherine Anderson is author of The Creative Photographer and Journaling the Labyrinth Path. Her personal journey of self-discovery has taken her from a career as an attorney to photography-franchise owner to creativity-workshop facilitator, and from South Africa where she was born to North Carolina where she now lives. Catherine believes that we are all creative and loves guiding others to discover the deep joy that creative play uncovers. As one of fourteen SoulCollage® Facilitator Trainers worldwide, Catherine trains others to teach this intuitive collage process created by Seena Frost, and regularly teaches creative workshops and retreats in Italy, France and South Africa, as well as around the US. Catherine is also a Veriditas Advanced Certified Labyrinth Facilitator and has Master of Liberal Arts. Link to Catherine's website. Sheila Armitage is a corporate learning consultant who partners with horses on her coaching team. She finds that this modality helps generate coherence between intellect and heart, as horses have a great capacity to sense what we do not, reflect back truth, show us if we are kidding ourselves, accelerate learning, and move us out of our mental justifications for staying stuck in a rut. Sheila has worked internationally as an organizational learning expert and coach with Fortune 10 to 500 companies, government, non-profits, educational institutions, small businesses, and individuals from C-level leaders to front-line staff. Sheila’s studies are at the intersection of health, business, and quantum science, and she is currently completing her Ph.D. Dissertation on work-life integration - the mindset and behaviors it takes to fully bridge life between work and home in alignment with your values and who you really are. Link to Sheila's website. Ted Carter is an ornamental horticulturist, principal landscape designer, and co-author of Earth Calling: A Climate Change Handbook for the 21st Century, in which he and co-author Ellen Gunter explore where and how we have gone wrong in our relationship with the Earth and how we go about starting to heal. About his work, Ted says, "The art of landscaping has been with me since childhood. Land and landscape have been and continue to be a central part of my life. In more recent years I have discovered the subtle Earth energies that inform and direct me in this co-creative endeavor. It is a joy to work and share this journey with others through my life’s work." Link to Ted's website. Jean Fleury is an enrolled member of the Crow Creek Sioux Tribe in South Dakota and is their first Tribal Peace Ambassador. She co-founded her tribe's first Kunsi/Unci Grandmothers Society and serves as their first Chairwoman. She received her Sacred Pipe [Chanupa] from Stanley Looking Horse in 1986. It was blessed at that time by Chief Arvol Looking Horse, the 19th Generation Keeper of the Sacred White Buffalo Calf Pipe. A practitioner of meditation for 40+ years, Jean is a certified meditation teacher and spiritual counselor. She holds a BS in Nursing and MA in Counseling Psychology. She is co-founder of Healing Hearts at Wounded Knee and leads global ceremonies to heal the multi-generational and multi-lineal effects of massacre, holocaust, and war upon humanity, other species and our beloved planetary home. Link to Jean's website. Jain 108 is a teacher, author of 30 fascinating books, some beautifully hand-written in calligraphy, and creator of 10 dvds. Jain has always been drawn to the spiritual and mystical. He is fascinated by numbers and shapes. The main theme of his life's work is "The Translation Of Numbers Into Atomic Art". Jain is an international lecturer, having taught in the USA, Amsterdam, Italy, India, Singapore, Malaysia, France. He is current teaches seasonally in Singapore where he has set up a school called The Joy of Numbers Institute. Teaching the Beauty of Numbers, often to dyslexic or special needs children, Jain's math enrichment classes are in high demand. In between overseas travels, Jain teaches hundreds of children in Austrailia's Byron Bay a highly visual content of lessons called Mathemagics. Jain was one of the main speakers at the 2017 Chartres Cathedral Wisdom University on the topic Arithmetica, one of the 7 Liberal Arts. Link to Jain's website. Janel Joseph is a Business Consultant and Executive Coach in Austin, Texas with over 20 years of global experience working with leaders to get results. Janel completed Kundalini Yoga certification and is a certified coach through the International Coach Federation. Her exploration of yoga, labyrinths, feng shui, sacred geometry, and other meditative art forms provides her with unique insights in how to best address needs of her clients. Janel has collaborated and coached leaders on aligning talent to strategy, culture change, organization development, facilitating solutions through strategic sessions and targeted leadership development. Her straight forward approach to collaborating and finding solutions is thoughtful, innovative and helpful. Janel’s passion is helping leaders define individual success and build high-trust environments. Her work has evolved to include neuroscience based behavioral techniques and the use of breathing and yoga to create sustainable changes. Link to Janel's website. Peter Merry is Chief Innovation Officer at Ubiquity University where he both applies and teaches energetics. He is a qualified ECOintention Practitioner having completed the 4-year vocational training with Center for ECOintention. ECOintention involves working with the energetic architecture of large-scale systems like organizations and areas of land. He is also experienced applying Perelandra’s co-creative science. Peter has immersed himself in geomancy, learning and teaching as he goes along. See his blog for some examples, including a google earth overlay of energetic features. Author of Evolutionary Leadership, Peter has just completed his PhD with Ubiquity’s Wisdom School on “volution," an integrative theory of the holographic and trans-linear dynamics of life. Link to Peter's website. Jini Rayne is a business and teaching professional, teacher of Feng Shui and Space Clearing and Blessing, an Independent Reiki Master in the Usui, Japanese, Tibetan, and Soul-Wind traditions, and a breathwork consultant. She is a student and disciple of the late Chinese-born Feng Shui master, His Holiness, Grand Master Thomas Lin Yun, Rinpoche. Jini also trained with Densie Linn in Interior Alignment™, which incorporates Instinctive Feng Shui™. Jini has completed Earth Activist Training and received her Permaculture Design Certification from Starhawk and other teachers. Permaculture is a way of thinking and planning that enables people to establish highly productive environments that provide food, shelter, and other material and non-material needs for human inhabitants while also caring for the Earth. Link to Jini's website. choreographer, transformational teacher and practitioner of Chinese Medicine. Awarded for her innovative movement vocabulary, she is an innovator of Sufi dance previously only performed by men. Her Dance of Oneness® is dance as a spiritual path and science of embodiment. It fuses the art of dance: rigorous technique and selfexpression; wisdom teachings; and healing. Banafsheh performs and teaches internationally, initiating people into the wisdom of their body and inspiring them to live the sacred in everyday life. With an MFA in Dance and an MA in Chinese Medicine, she is dedicated to individual and collective healing through conscious movement. Her dance film In the Fire of Grace traces Rumi's journey of the Soul in dance. John Saxon is a psychic pianist living in Franklin, Indiana. Trained in classical piano, John channels and plays the music that your soul constantly sings, music that aligns and balances your chakras, music that brings clarity and healing, music that prepares both you and the universe for your next spiritual steps. John holds both a B.S. and M.A. in mathematics, studied piano with noted pianist Yelena Balabanova at her International Conservatory Studio, speaks Japanese, and continues his energy healing and clairvoyance studies with healing teacher Michael Tamura. Link to John's website. Sign up for periodic updates from us. We promise never to share your information or bombard you with spam. If you have any questions or feedback for us, or if at anytime you would like to unsubscribe, please email us at earthshamans@gmail.com.